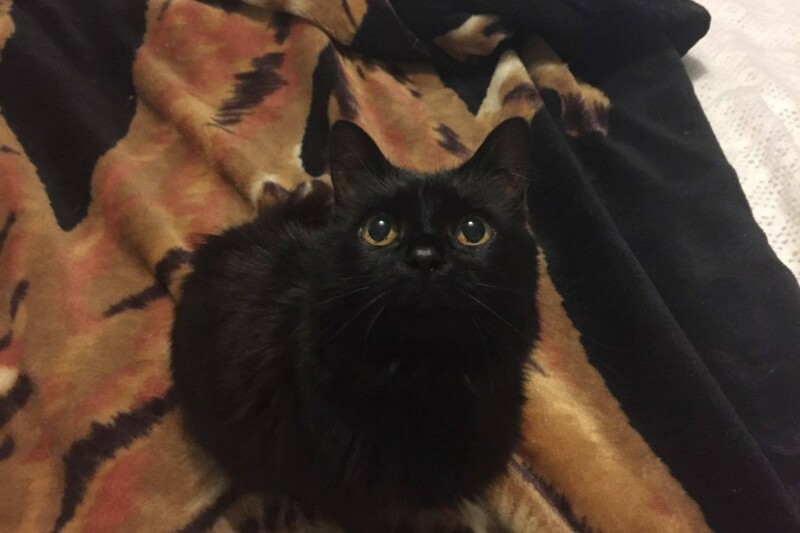 Jetta is a stunning semi long haired black kitty who is in amazing health. Her favourite thing in the entire world is to have a cuddle with her human friends. She is very much a lap cat and has a wonderful sixth sense of being able to tell when her human friends are feeling down and needs comforting. Jetta is tiny for an adult cat, and is about the size of a 6 month old kitten – they do say great things come is small packages! This gorgeous girl’s owner sadly had to go into a care home, and her daughter didn’t want to adopt Jetta, so she found herself dumped at a vet practice to be euthanised. Luckily the vet knew that there would be a rescue out there who would be willing to help find Jetta the second forever home she so deserves. Jetta would suit a quieter home, she hasn’t lived with children previously so isn’t use to children being children, so we would suggest a home with older, cat savvy kiddies. She is too scared of dogs but her foster mum is currently trying to introduce her to her two cats, so watch this space if you are already a feline servant. 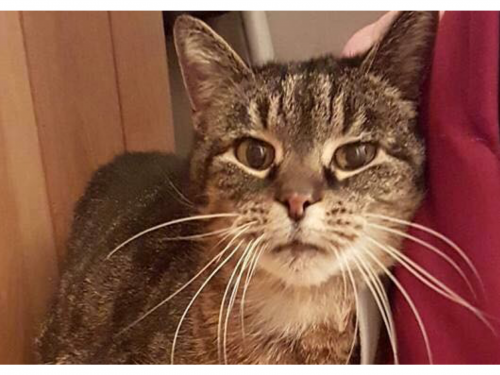 Jetta is 13 years young, and as mentioned is in amazing health, with a blood test confirming this, so could be easily insured should her adopter wish to. Jetta is fully vaccinated, flea and worm treated with vet prescription products, has been health checked by our vets, microchipped and was already spayed. Do you have space in your heart and your home for this mini house panther?